Journalists have claimed a regional publisher has banned them from holding union meetings in their newspaper’s office. The National Union of Journalists says the ban has been imposed by Newsquest on staff working at the office of the Carlisle News & Star. 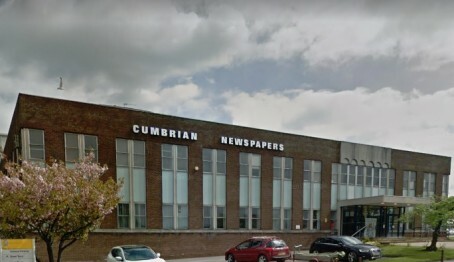 According to the NUJ, union members based at the Dalston Road office are meeting today at Carlisle City Council’s headquarters instead to discuss a year-long pay claim, after the authority’s leader Colin Glover agreed they could use the building. The decision to bar the NUJ from meeting at Dalston Road ended “decades of cooperation” with the News & Star’s former owner the CN Group, its Carlisle chapel said, although Newsquest says it is “common practice” for union meetings to be held off-site. The chapel had lodged a five per cent pay claim in an attempt to reverse “years of pay erosion”, which it says has reduced earnings in real terms by around 20 to 25 pc, and is set to consider a response to what it describes as a pay freeze by the publisher. Newsquest bought the previously family-owned CN Group in March this year. A spokesperson for the chapel said: “The message our members are taking from this decision on pay is depressingly clear: Newsquest does not value its journalists in Cumbria. Any journalist who joins this company should expect a future of continuous pay erosion. In recent years, our journalists have taken on ever more responsibility for diminishing reward. “The net result has been a steady and continuous loss of our most experienced local journalists. On this evidence, we can only conclude that Newsquest Cumbria in the long term is likely to be staffed primarily by transient, overworked, underpaid, journalists, who are either trainees or recently qualified. This will clearly help the firm to keep its costs down, but it will not secure a safe, viable business for the future. “Driving away our most experienced journalists is bad for local journalism. This latest pay freeze – and the decision to ban all NUJ meetings in a building with more than enough empty rooms – shows clearly that the new owners of this long-established media company do not value journalists, nor journalism. “Rewarding its journalists seems to be the last item on this firm’s list of spending priorities. By contrast, the current administration of Carlisle city council has signalled that it does value its local journalists. Papers rely on good will as staff numbers are down. This papers staff should work their hours, a long standing working to rule policy would cause huge problems for a paper. Stick to your guns, why roll over and accept anything Newsquest says? Join the union, stick to your guns, if everybody was in the NUJ and worked to rule en masse, management could do nothing! That kind of attitude looks about as outdated as the newspaper’s offices. Having said that it reminds me of my ‘induction’ at the Hull Daily Mail back in the early 2000s when the Managing Director at the time said he’d rather staff didn’t join a union as they like to sort things out themselves – to which I joined the NUJ the very next day. Decades of co-operation = years of pay erosion? Sounds very effective! I was, towards the end of my career, a reluctant member of the `NUJ” but it was obvious, even back in the 80s, that IPC, which I worked for, decided to spread our division into several different offices/newsrooms in different parts of the town/area away from each other in the hope we wld not get together. So, nothing changes – except the faces at the top. Former Journo… Trade unionism is not outdated! Union shops tend to be better paid, better staffed, safer places to work (where there are dangerous occupations) and happier! Google it! This is so, so sad. There have been ructions at CN over the years and it’s always had a strong chapel, but those of us who had worked elsewhere – and there weren’t that many, it’s a Cumbrian thing – knew that it was a great company to work for. NQ should learn from that record, not reject it outright. I haven’t heard that word for ages! It reminds me of words I used to hear as a child. Made my day – though I’m easily pleased!. The NUJ chapel reckons that in the “long term” Newsquest Cumbria is likely to be staffed primarily by “transient, overworked, underpaid, journalists”. Except it already is, with most senior experienced bods having already shipped out. Just meet in the pub, far better for your wellbeing! @DisgruntledToggy I meant to imply that the act of refusing union members to meet in the building is as outdated as the building looks! Apologies Former Journo and now I know your meaning, I agree! NUJ members acquiesced for years under CN, now Newsqueat have taken over they suddenly grow teeth. The NUJ in Cumbria is nothing more than a toothless tiger, hardly gaining a penny over the years, but losing plenty of ground….